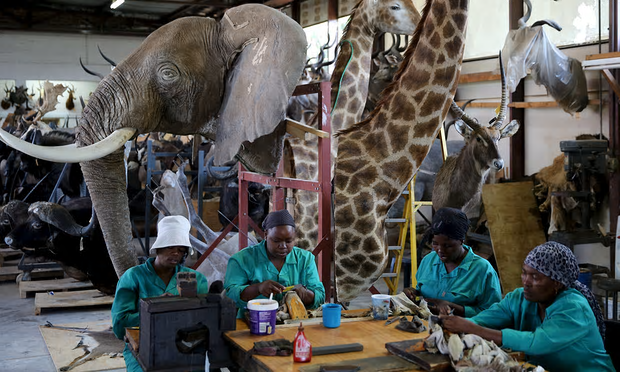 “Sustainable utilisation” means the use of wildlife for hunting or trophy hunting. Pabst, who purchased Sango in 1993 and opened its doors 10 years later, says that trophy hunting provides approximately 60% of the revenue required to keep Sango running every year. Another 30% comes out of the German businessman’s own pockets. While Sango does welcome non-hunting tourists, Pabst says it is not possible to attract enough in this remote area to equal the revenue made by trophy hunters willing to travel to pay tens of thousands of dollars to shoot iconic megafauna, including Nile crocodiles, elephants and lions. Over the next six years, Pabst will donate 6,000 large mammals from Sango to Zinave as part of the Peace Park Foundation’s programme to rewild a vast tract of land in the Great Limpopo Transfrontier conservation area (TFCA). Mozambique’s 15-year-long civil war left its once world-renowned parks almost empty of any animal large enough to shoot and eat, but numerous efforts today are working to bring back animals to Mozambique, often transporting them from either neighboring South Africa or Zimbabwe. But, Masha Kalinina, a trade policy specialist with the Humane Society International, said the plan to transport thousands of animals across Zimbabwe to Mozambique was “misguided” and “potentially deadly” for individual animals. Indeed, such transports are not without risk: an elephant died last year en route to Zinave from South Africa. “Mozambique continues to have one of the highest rates of poaching in southern Africa,” she said. 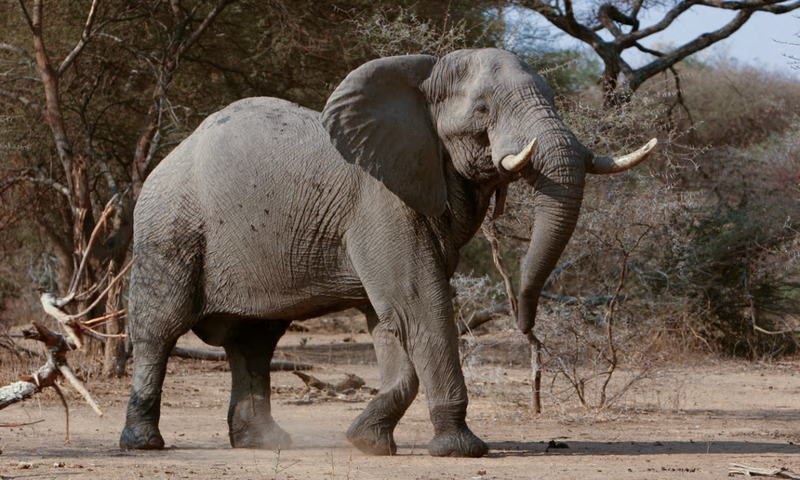 Mozambique lost nearly half of its elephants to poachers in five years. “Now both South Africa and Zimbabwe are transporting their own animals to this park just so that they may die at the hands of either trophy hunters or poachers. Is that what we are calling conservation?” Kalinina asked. Still, there is little chance of rewilding Zinave without bringing animals overland. A similar transportation project was done for Mozambique’s Gorongosa national park – though nowhere near this scale – and it succeeded in bringing new species that had been lost during the war. While poaching is particularly high in parts of Mozambique, it is also a pressing concern in Zimbabwe and most other countries – few African mammals live beyond the cloud of the global poaching crisis. Pabst say he is not making any revenue from the donation of 6,000 mammals but views it as a part of Sango’s commitment to wildlife conservation in Africa. The funding for transporting the animals, which includes a small army of veterinarians, rangers, ecologist, truck drivers and helicopter pilots, is coming from the Peace Park Foundation. Sango is at the center of Zimbabwe’s Savé Valley conservancy, in remote eastern Zimbabwe. A few decades ago, Savé Valley – nearly the size of Cornwall – was overrun by cattle. Now, it is bustling with herds of iconic African species, including 160 rhinos that require constant guarding against poachers. Pabst’s Sango covers about 17% of Savé Valley and is run under what’s known as a bilateral investment promotion and protection agreements (BIPPA), which allows Pabst to manage the conservancy privately via permission from the Zimbabwe government, including setting quotas for trophy hunters. Trophy hunting has been controversial for decades, but the issue took on a new global awareness last year after the killing of Cecil the Lion in Zimbabwe went viral. Despite the fact that around 600 lions are killed yearly in Africa by trophy hunters, something about this particular story – and this lion – captured the public’s attention. Kalinina said despite the attempt by hunting groups to “greenwash” it, trophy hunting is “unethical, cruel, a threat to non-consumptive tourism like wildlife watching, offers no long-term conservation benefits, and provides minimal economic and employment value”. For his part, Pabst insists that Sango couldn’t survive without trophy hunting. He said if trophy hunting were suddenly outlawed in Zimbabwe – as some organisations may wish – his operation “would run out of money within months and most of the 200,000 animals will be poached probably within one year”. While trophy hunters, by definition, shoot to bring a “trophy” home, the meat of the animal killed is often eaten as well. In Africa, the meat is usually shared with local communities. Although there are some animals you typically don’t eat: lions, leopards and rhino. Elephants are only eaten in some places. The only two large animals that are not hunted in Sango are African wild dogs and rhinos, because these endangered species are protected in the country. “We exclude additional species from hunting as the situation dictates,” Pabst added. Sango keeps a close track of its animals. Depending on the species, Sango allows hunting of approximately between 0.2-1% of an animal’s total population annually. In total, Pabst says around 200 animals are hunted in Sango annually – or one 10th of 1% of the park’s estimated 200,000 mammals. “These regulations and their strict control at Sango is the key factor of successful management through sustainable use which now [allows]us to donate 6,000 of our animals to Zinave,” he said. The International Council for Game and Wildlife Conservation (CIC), a global not-for-profit organisation that advocates for conservation and hunting, says that “hunting tourism” is an important tool to combat one of the biggest threats to African wildlife: poaching. They argue that so long as local communities benefit in some way from hunting funds – through jobs, payouts, or developing projects – they are far less likely to poach wildlife such as elephants and lions that they view as dangerous or destructive to their livelihood. Pabst say Sango is “living proof” that trophy hunting can support broad conservation goals. But Kalinina contends that trophy hunters only support conservation to buy themselves public acceptance. Hunting proponents, however, contend that it’s animal rights activists who don’t realise their actions are actually hurting conservation – not helping it. 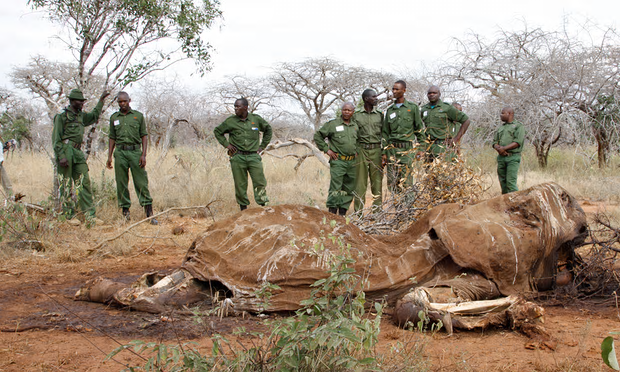 “Kenya’s wildlife areas have decreased by almost 80% since the 1977 hunting ban was imposed, while at the same time being home to some 200 NGOs trying unsuccessfully to repair the damage done,” Probst said. Hunting advocates commonly point to Kenya as an example of what happens when hunting is banned: they say habitat shrinks, populations decline, animals vanish because the economic incentive for local communities and the government to keep alive evaporates – eco-tourism just doesn’t pay enough to keep animals alive and secure habitat, according to them. The reality, though, is complicated. Kenya is hardly the only African nation to see a catastrophic decline in wildlife: a grim study in 2010 found that Africa’s big mammals had declined on average by 59% over the last 40 years – and this was inside protected areas. The reasons were complex according to scientists: habitat loss due to expanding agriculture and poaching for bushmeat or to feed the illegal wildlife trade, but underlying all of this: explosive human population growth. Kenya, like most African countries, has seen human population rise at a shocking rate in the past 40 years. In 1977, Kenya had 14.5 million people; today it has more than 48 million people. This trend is similar across Sub-Saharan Africa, whose population has basically tripled since 1977, hitting a billion people in 2015. This rise in human populations has placed crushing pressure on the continent’s wildlife. Parks in southern Africa fared best in 2010 study, but the researchers noted that this region also had lower population densities and spent more money on its parks than its neighbours. The worst hit areas were West and Central African countries – a staggering 85% decline in wildlife – including a number of nations which allow trophy hunting. So, while hunting policy undoubtedly plays a role in animal populations, whether for the positive or negative – it’s likely a more minor one than either critics or advocates claim. Like so many things: the devil is in the details. Hunting proponents argue that trophy hunting is essential to conservation efforts – but this argument only holds water if money actually makes its way to local communities or helps secure and manage habitat. Levies on trophy hunting may be important revenue for governments, but will only aid species if that money is then funneled back into conservation efforts and protected area management – something that is difficult to measure in many countries given high levels of corruption and other pressing priorities. A US congressional report by democrats on the committee on natural resources concluded, unsurprisingly, that “trophy hunting is managed well in some areas and poorly in others”. “In many cases, the laws, institutions, and capacity necessary to make trophy hunting benefit conservation are lacking,” the report continues. A 2009 report by the IUCN – an organisation that supports trophy hunting – found similar “mixed results”. Though it’s take away message was more damning: “hunting does not … play a significant economic or social role and does not contribute at all to good governance”. The report criticised the sector for supporting few jobs, bringing little money to locals, and benefiting a few at the expense of the many. Still, one country that seems to have found a positive way to link conservation with trophy hunting is Namibia. Here, local communities have been given local control over communal land giving them an economic incentive to manage animal populations both for tourism and trophy hunting. Money goes directly to the local families who live with the animals. 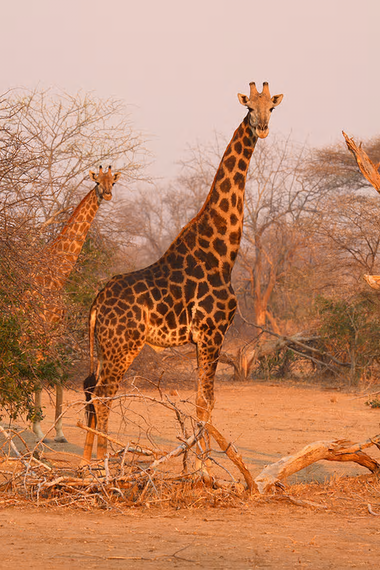 Now, Namibia is one of the few places in Africa where animal populations are on the rise. Both sides of the argument like to claim they have science and facts on their side, but things are never so simple. Research on the subject tends to assert that trophy hunting might support conservation – but the key here is “might”. It depends on how well the programme is run and who is really benefiting. Scientists are concerned not only by some programmes that allow too many animals to be killed, but also the evolutionary consequences of trophy hunters often targeting the biggest and most impressive animals. At the same time, many of the world’s major conservation groups – including WWF, the Nature Conservancy, and the IUCN – continue to support trophy hunting, in part because they view the hunting community as a key ally in advancing conservation. As the debate simmers, one country to keep an eye on is Botswana. Botswana announced a ban on hunting in 2014, but it has come with costs. The plan included no exemption for Botswana’s indigenous populations, such as the San People, that have depended on game meat for millennia. Many have been arrested and beaten simply for hunting on their ancestral land (the government has announced it is rethinking this policy). Some villages have reportedly seen job declines due to lost revenue in trophy hunting. 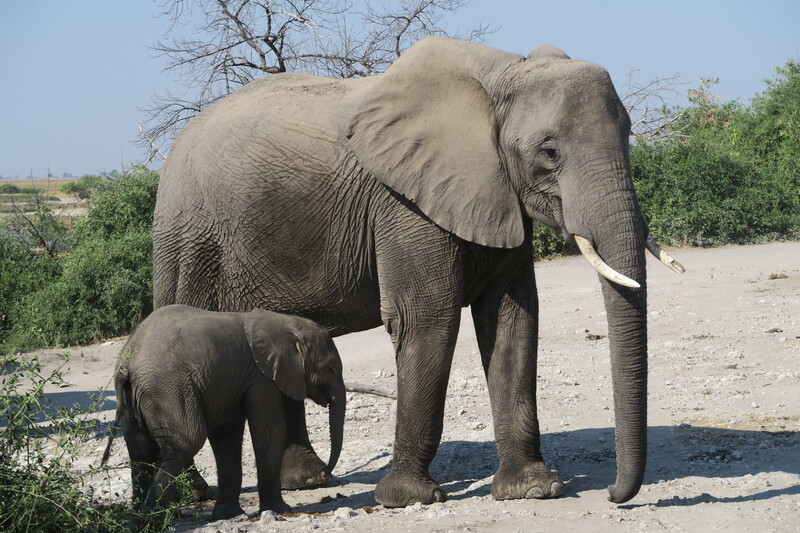 At the same time, Botswana maintains some of the strongest populations of African wildlife on the continent and is hugely popular with tourists. 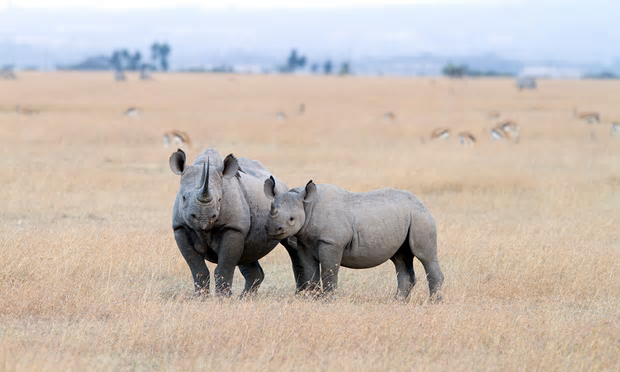 Kalinina pointed to Great Plain Conservation, an initiative run by National Geographic Explorers-in-Residence Dereck and Beverly Joubert, as an example of how to move beyond trophy hunting. Great Plains often purchases private hunting concessions to turn them into luxury photo-only tourism areas. Renowned lion experts, the Jouberts have long been critical of trophy hunting. “While killing one lion may generate $15,000-$30,000, the value of that animal to photographic tourism may be as much as $2m during the lion’s lifetime,” said Kalinina. 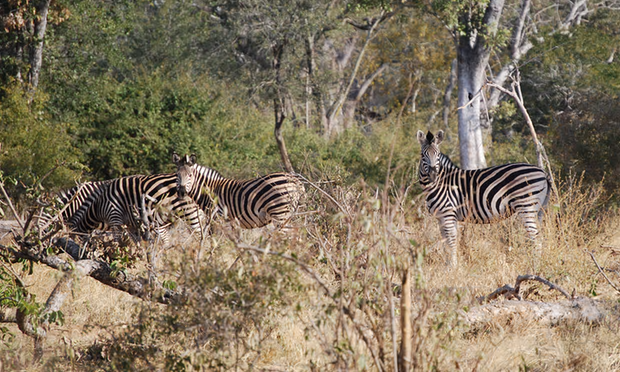 But you first have to get tourists – and for Pabst, that’s a problem in remote, lesser visited Zimbabwe. People’s views of animals are undergoing a transformation. As a society, we are finally recognising that the world’s non-human species are not the automatons that Rene Descartes insisted they were – a view that tainted animal science for centuries. Instead, we now know that other animals experience complex emotions, experience suffering and many show surprising levels of intelligence (the number of animals known to use tools rises every year). In this debate, animal rights groups have moral outrage and increasingly, it seems, the public on their side. There haven’t been a lot of polls taken on the issue of trophy hunting, but a poll in 2015 found that 84% of Albertans and 91% of British Canadians, including those living in rural areas, opposed trophy hunting. Try to think of another issue in which 80-90% of people polled would agree? Another poll found that 62% of Americans believe big-game sport hunting should be outlawed, including 32% of American hunters. It may be that both trophy hunters and animal rights activists have something in common, though. Conservation is an important, but largely secondary, concern to both. Many animal rights activists see establishing the rights of animals as the ultimate goal. If conservation suffers from doing this (due to a plunge in funding), it may be a risk that many activists see as worth taking. On the other hand, many trophy hunters view the experience of the hunt as paramount. If the hunt promotes conservation all the better, but it may not be the primary goal when looking at an outfitter or pulling the trigger. Still, if the goal really is conservation, it comes down to money. If animal rights groups want to eliminate trophy hunting in Africa – without potentially undercutting some vital conservation efforts – they have to find alternative revenue streams that can make up for the gap, especially in places like remote Zimbabwe. On the other hand, if trophy hunters want to keep shooting they need to convince the world their hobby isn’t a self-indulgent blood sport. They need to make sure hunting concessions are actually benefiting local people and the long-term survival of local species. They need to prove they are conservation-focused by demanding much better from the industry. “Conservation is a great challenge that can only be achieved if we perceive Africa differently,” Pabst said. Indeed, Africa is the only continent that didn’t see a widespread extinction of its megafauna in the last 10,000 years – as such it is a time capsule of a truly lost world, a place of giants. But it’s vanishing. Throughout most of Sub-Saharan Africa, habitat loss represents one, if not, the biggest threats to species. But here is Zinave national park: a habitat the size of Rhode Island that’s just waiting for animals to return. And over the next eight weeks, Pabst – in one of the biggest overland transports of African animals yet – will be sending 900 impalas, 300 wildebeests, 200 zebras, African buffalo, and eland antelopes, 100 giraffes, and 50 kudus. Even 50 African elephants will be making their way to Zinave. If all goes according to plan: Zinave will be wild and full again. And such stories just prove: nothing in conservation is black and white. Well, except the zebras.